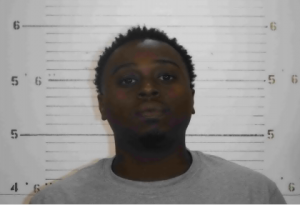 On Friday, November 9th, 2018 at approximately 6:40 p.m., the Shiloh Police Department took a report of a Domestic Battery that occurred. The female victim reported she was in an argument with her boyfriend, identified as Martin Cooper Jr., when he began punching her with his fist. The victim departed the residence but returned a short time later. Upon returning, Cooper Jr. grabbed the victim by her throat with both hands and choked the victim, causing her to lose consciousness. Cooper Jr. then departed the residence. This case was submitted to the St. Clair County State’s Attorney’s Office for review. On Wednesday, November 28th, 2018, Assistant State’s Attorney Agnes Bugaj issued a two-count warrant, #18CF0179701 for Aggravated Domestic Battery- Strangulation, a Class 2 Felony and #18CM0004173 for Domestic Battery, a Class A Misdemeanor charging Martin Cooper Jr. of the 100 block of Christine Drive in Shiloh with the above crime. The warrant was reviewed by St. Clair County Judge Robert Haida who set Cooper Jr.’s bond at $30,000. Cooper Jr. is currently at large.